“Teach: Tony Danza” follows the actor, whom we all know and love from “Taxi” and “Who’s the Boss?” as he teaches an English class at a Philadelphia public school. This could have been a goofy reality show series, like “Tommy Lee Goes to College,” but the first episode shows just how hard it is to be a teacher. Danza enters the school full of hope, and by the end of the first episode, he looks exhausted. For those of you who constantly hear how easy teachers and professors have it, you should recommend this show to your critics. The show is far from perfect. It’s over-edited, and there are too many framing scenes in which Danza and the teachers spell out their motives in an obvious fashion. Some of the kids look like they’re already auditioning for the next reality show. But the show does reveal how uncomfortable it can be to stand in front of the classroom. It’s hard to convey information and keep people interested at the same time, and being an actor helps only so much. Never act as if you want to be liked. The moment Danza walks into school for his first day, I felt uncomfortable because he so clearly wants approval from his supervisors and his students. This might be because he still has an actor’s need to please people, but teaching isn’t about pleasing people. More after the jump! 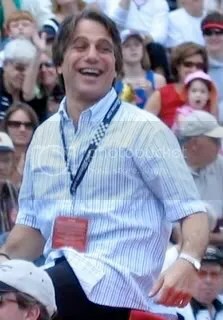 Image of Tony Danza at the Indianapolis 500 parade by Matt B. from Wikimedia Commons under a Creative Commons license. Be kind. This is one of the rules Danza sets up in the classroom, and I thought I’d throw this in after writing about bullies and queen bees. Even adults need to be reminded of this occasionally. Don’t be too nice. In his quest to be liked, Danza overdoes it sometimes, such as when he reads the students papers for them. He thinks he’s doing a good thing, but he should have waited for the students to step up and do the work. I’m pretty sure that a student will take advantage of his kindness later on. Know when to stop talking. Throughout the episode, Danza reveals that he is a rambler. This is great for filling time in the classroom, but not so great if others have something to say. Some of the students in his classroom actually want to talk. Use your hand sanitizer. Danza gets a lot of crap for asking his students to sanitize their hands as they enter the classroom. The effectiveness of hand sanitizer is in doubt. But you’ve seen the hygiene of high school students and college students, right? But Danza gets one thing right that too few teachers do. At the beginning, he asks himself, “Would I want my daughter in my class?” If you’re teaching, ask yourself that. That’s a high standard. Subscribe to comments with RSS	or TrackBack to 'Teach: Tony Danza: “I’m always afraid they’re gonna unmask me.”'. I just watched this show for the first time. I think Tony Danza deserves a lot of credit for embarking on this project at this point in his life. Yhe could sit back and enjoy his residuals, but he chooses to challenge himself, and try to make a difference in his own small way. It was humbling to watch him realize that life isn’t one big song and dance act. He obviously cares about these kids and it was very touching.